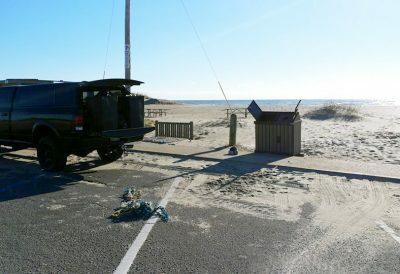 National Park Service representatives examined Cape Hatteras National Seashore after the end of the 35-day government shutdown to identify cases of vandalism, violations, and other instances of misuse of the seashore’s facilities. During the government shutdown, Cape Hatteras National Seashore had seven to 10 staff members of their 90 total employees working intermittently, while all other personnel were furloughed. Though multiple violations occurred during the lapse in operations, the violations were not extreme or numerous, and were counterbalanced by efforts from community organizations and members who worked to preserve the seashore. Public Affairs Specialist Michael Barber said there were 32 different incidences of beach driving violations, which included donuts on the beach, using vehicles on non-vehicle routes, and drivers on the beach who did not have an off-road vehicle beach driving permit. There were 12 incidents of vandalism reported, which included damage to bathrooms or showers, and broken signs. Seven cases of illegal camping were also reported, which included camping along the beaches, but not in the seashore-managed campgrounds. There were six incidences of human waste outside of seashore bathrooms, including four incidents at the Salvo Day Use Area, one incident at Coquina Beach, and one incident at Whalebone Junction. Park service personnel responded to 21 calls during the shutdown, despite the furloughs, which included calls to assist EMS, motor vehicle accidents, issues with park-managed buildings, and public drunkenness. The shutdown prompted a number of efforts to keep the beaches clean, such as a Jan. 12 cleanup coordinated by the North Carolina Beach Buggy Association to empty trash cans, and clean public areas and beaches. “One thing that should be pointed out is that despite these instances, most of our visitors were very respectful of park resources. 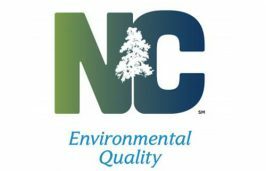 Moreover, we were impressed by community organizations and members who went out of their way to remove debris, like NCBBA’s Operation Beach Respect,” Barber said. The federal government shutdown was suspended Jan. 25 for three weeks. It is not known if the shutdown will resume if a resolution for government funding is not reached by Feb. 14.